Bonita’s Diego Jimenez applies heat to Claremont quarterback Reggie Retzlaff. The Bonita Bearcats have had more comebacks than the NFL’s Kurt Warner who took a job in a grocery store at $5.50 an hour after he went undrafted. Later he would go on to play in two Super Bowls, winning one. So there was Bonita trailing, 30-23, with 7:57 left in the four quarter with the ball on its 25-yard-line. The team had once trailed 9-0 before knotting the score 17-17 at half-time. That’s when Bonita’s quarterback J.P. Andrade went to work, slicing and dicing Claremont’s Wolfpack defense. He delivered strikes to Vincent Montoya, then Joey Reynolds, before finally finding Ivan Wilson-Bey over the middle who slipped a couple of tackles and raced 32 yards into the end zone. Trailing 30-29, Bonita courageously decided to go for a 2-point conversion. Aalias Williams faked an inside route, then spun to the outside where a perfectly thrown ball was waiting for him. Bonita led 31-30. The only trouble was, Bonita had scored too early, leaving 3:48 in the clock. Claremont responded with a quick strike of its own, retaking the lead when Zurie Clark found an edge, dodging tacklers along the sideline and danced into the end zone. Claremont, however, missed the extra point, leaving the window open at 36-31, with time for Bonita to mount one last strike. Bonita’s No. 23, Aalias Williams found himself near the ball all evening. Starting at its own 30-yard-line, Andrade guided his team down to Claremont’s 36-yard line, but could advance no farther, the last pass, a screen attempt over the middle, batted down at the line of scrimmage. All that was left for Claremont to do after the exchange of possession was to take a knee. Although Bonita showed plenty of resilience throughout the game, the scoreboard rewards only execution. On the opening kickoff, Claremont’s Bradan Pichay raced 90 yards for an electrifying 90-yard touchdown return to give the Wolfpack an early 6-0 lead. That score increased to 9-0 after Claremont kicked a field goal after Bonita had punted on its first possession. Thoughts of Bonita’s shellacking the week before, when it had given up 48 straight points, had to be creeping in among the Bonita faithful. With Claremont’s 9 unanswered points, Bonita had now yielded 57 straight points over the two games. Former Bonita quarterback, Jeff Chavez, Class of 2007, roamed the sidelines with his fiance to root on the Bearcats. But Bonita finally found its mojo, and proved once again, it wasn’t afraid to take chance. On a fourth down play, Bonita elected to keep its offense on the field and the Bearcats responded with a pass completion from Andrade to Williams. Then on a third down play from the Wolfpack 12-yard line, Andrade found Vincent Montoya at the back of the end zone. After completing the conversion from Andrade to John Harris, Bonita trailed 9-8. In the second quarter, Bonita expanded its lead to 14-9, courtesy of a 27-yard gallop by Andrew Flores, but the two-point conversion failed. Then with 4:39 remaining in the first half, Bonita struck again with a 30-yard field goal, pushing the score to 17-9. So there you had it, Bonita had just reeled off 17 straight points of its own. But instead of walking into the locker room with a lead, the Wolfpack struck again, the last 21 yards coming on a bruising run from Andrew Johnson. After the two-point try was successful, suddenly the score was tied, 17-17. The second half also showcased several big plays, perhaps none bigger than a long run by Wilson-Bey who appeared down after being tackled, but his body never touched the ground, instead rolling over a defender. Wilson-Bey had the presence of mind to continue dashing toward the end zone, before he was tackled just short at the 2-yard-line. But Bonita couldn’t punch it in. That left the Wolfpack taking over at its own 2-yard-line before it marched down the field 98-yards to break the 17-17 tie, with Clark delivering the decisive blow on a 16-yard touchdown run to give Claremont a 24-17 lead. That’s when Bonita went back into comeback mode once again. This time it was Andrade and Williams on a 6-yard touchdown hook-up, as Williams slanted over the middle for the score. Bonita’s two-point failed, however, leaving Bonita trailing by a point, 24-23, with 11:31 left in the fourth. 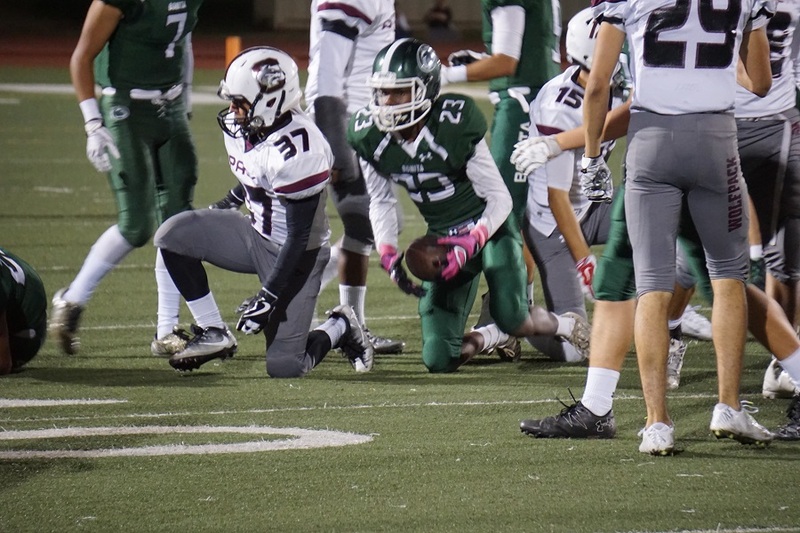 Claremont responded by taking the ball in for what appeared to be a two-yard touchdown run, but a penalty negated the touchdown, pushing the ball back to the Bonita 12-yard line. 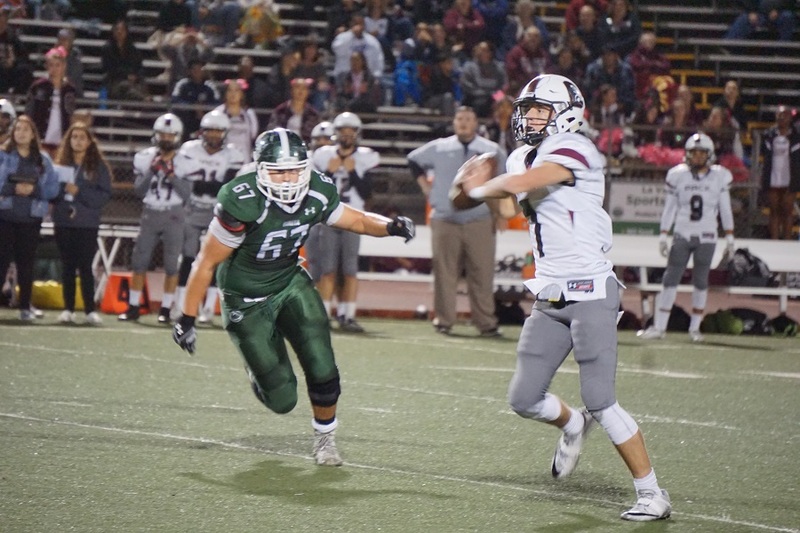 Giving quarterback Reggie Retzlaff more room to work with, he lofted a beautifully thrown pass into the outstretched arms of Pichay who hauled it in for six more points, expanding Claremont’s margin to 30-23. But after the missed extra point, the Wolfpack left the door ajar for Bonita to respond once more, which it did, taking the lead, 31-30. But as valiant and resilient as Bonita’s comebacks were, they would not be enough. Giving up that first score at the start of the game, and others at the end of the first and second halves ultimately proved too large a hurdle for the Bearcats to overcome. 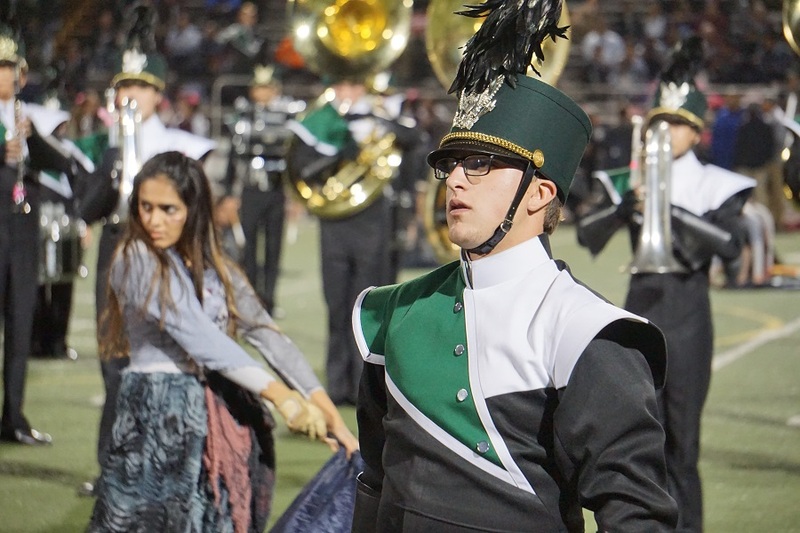 The Bonita band put on a bewitching half-time show. Close games can give anyone a headache, and when one does arise, stop by 986 Pharmacy in La Verne for some pain relief. 986 is a full-service pharmacy that also offers free delivery. 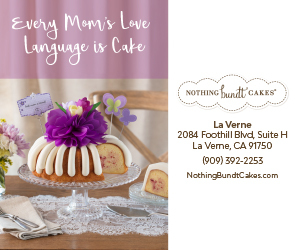 Game coverage also sponsored by longtime La Verne Realtor Colleen Bennett, with Sotheby’s International Realty, and Tim Manfro, with Manfro Mortgage.